Here's the next in my spotlight interviews on the authors, editors, and books in the current Aurora Award ebook bundle from Storybundle. 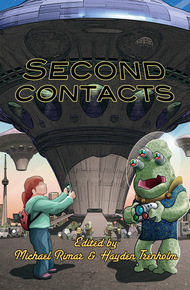 Today's interview is with Mike Rimar of Bundoran Press talking about the Aurora winning anthology, Second Contacts. What is your strongest memory from editing this anthology / assembling this collection? It was a good theme, one that hasn't been explored too often, but I was concerned that we would get a whole bunch of Independence Day-like submissions where the aliens return seeking vengeance. Incredibly, and to my pleasure, we didn't get one like that. At least I don't remember reading one. What we did get was a diverse collection of amazing stories from around the world, taking our theme into all sorts of fantastic directions. Is there something in these stories that you consider to be particularly Canadian or that Canadians would relate to or recognize in terms of sensibilities, world view, societal beliefs, etc.? Speaking for myself, that's difficult to answer. Most of our anthology stories are written by Canadian authors. Canadian writers express a curious dichotomy of society and solitude; of technological progress, but mindful of environmental impacts; of justice and sacrifice but not at the cost of culture. While not distinctly Canadian, these themes are more prevalent in Canadian society because our nation is so culturally diverse. We're far from perfect. Mistakes have been made and more will be made. But we try to be a better people and that is reflected in these stories. What music would be the ideal listening soundtrack for readers for this book? The Hip. Of course. How quintessentially Canadian. Thanks, Mike, for the answers. 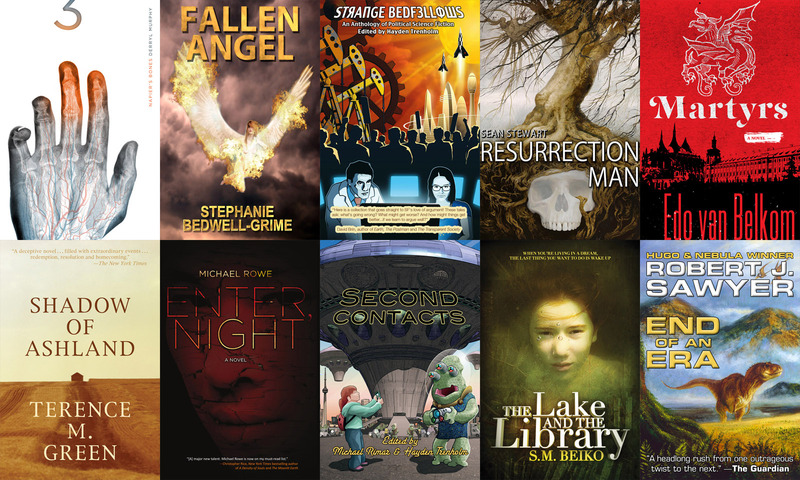 Pick up the Aurora Award ebook bundle here to get Second Contacts and nine other titles, all award winners or finalists, for a great deal. The bundle runs only to August 9. I'll be spotlighting the authors and books in the current Aurora Award ebook bundle from Storybundle over the next couple of weeks. 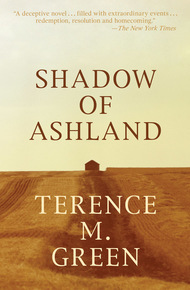 Today we're starting with an interview with Terence M. Green, author of Shadow of Ashland, the first book in Terry's Ashland trilogy. Terry, is there something in this book that you consider to be particularly Canadian or that Canadians would relate to or recognize? I’m Toronto-born and raised. My parents were Toronto-born and raised. My father’s parents were Toronto-born and raised. My mother’s parents were small-town Ontario-born and raised. Our Canadian roots pre-date Confederation. More Canadian context… CBC Radio broadcast a dramatic reading of the novel spread over 10 days to over 400 stations nation-wide, back in 2002 on Between the Covers. And it was taught in the SF course (English 237) at the University of Toronto in the late 90s. What was your strongest memory about writing this book? After my mother passed, I found 4 old letters and cards from the 1930s in a chest at the foot of her bed. They were from her brother, Jack, who disappeared down into the States in the 1930s and was never heard from after 1934. The writer in me saw the drama, based on those letters, and the story began to evolve from there. There are 10 letters woven into the novel. The first 4 are those found letters. I made the others up, using those first 4 as my guide. The narrator, her son Leo (a fictional persona), tries to find Jack, ends up leaving Toronto for Ashland, Kentucky, and ends up there in 1934. What was your biggest surprise in writing this book? As well as the Aurora Award nomination (twice, 1996, 1997), it received a World Fantasy Award nomination for Best Novel in 1997 as well. Curiously, one of the other nominees that same year was a book titled A Game of Thrones. Pretty good company. So… Lots of Canadian vibes both in and surrounding the novel… Memories galore, nearly all involving family… And the biggest surprise: how well the book was received. I think of it as the little book that just kept on growing. I’m hoping it never stops. I hope the same, Terry. And I also hope that readers will drop by the Aurora Award ebook bundle page and check out Shadow of Ashland and the other nine titles, all award winners or finalists, that are available for a great bargain...but only until August 9. A little short notice but here are a couple of my appearances happening this coming week, one in person and one online. Saturday, July 21, 12:30-2:30PM EDT: I'll be giving an online workshop hosted by SFWA president, Cat Rambo, on Rights and Reprints for Short Fiction, based on my writer's guide, Playing the Short Game: How to Market & Sell Short Fiction. Full information and registration link here. And I neglected to post about this one, but this weekend I was at the annual Toronto (okay, Richmond Hill) genre convention, Ad Astra, doing panels, a reading, and selling and signing. Thanks to all of you who dropped by and said hello. 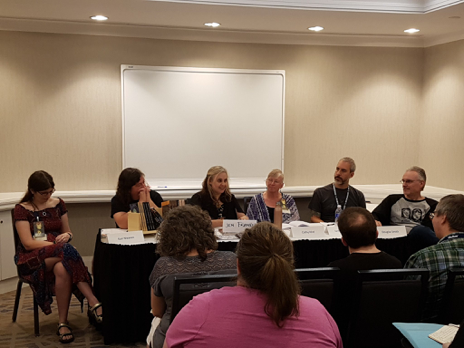 The photo to the right is from a very fun panel on the different ways of writing time travel stories, called appropriately enough "The Timey-Wimey Stuff." Panelist were (left to right): Kari Maaren, Cameron S. Currie, Jen Frankel (m), Cathy Hird, James Bambury, and me. May 8, 2018 (new date! ): Reading, Toronto Public Library, Parliament Street Branch, 269 Gerrard St. E, Toronto. 6:30-8:00pm. Books will be available for sale and signing. June 3, 2018: Aurora Street Festival, Aurora. Signing and selling. 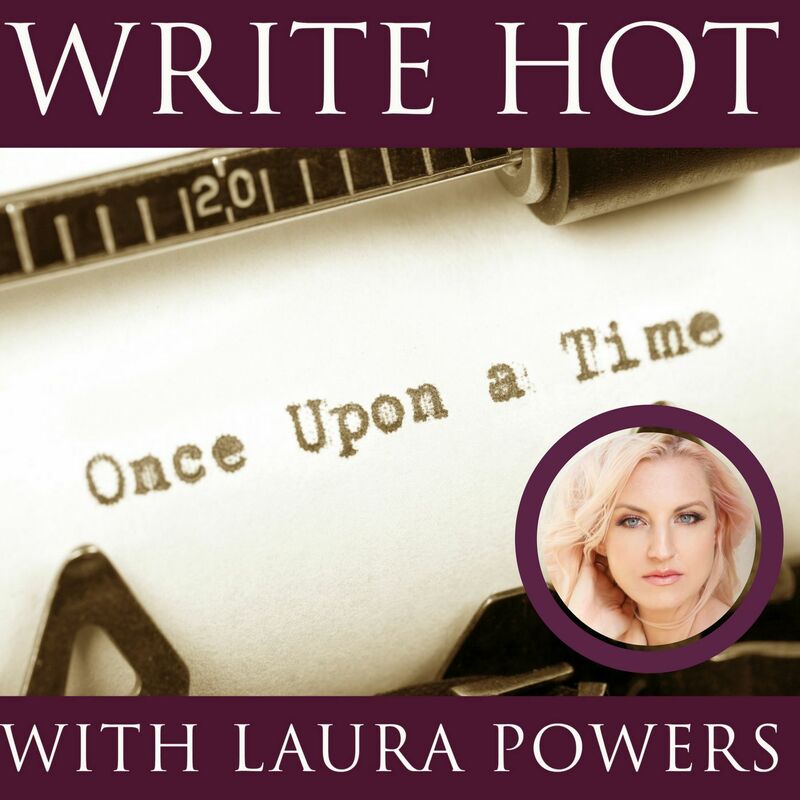 Laura Powers, Celebrity Psychic, Host, Entertainer, and fellow writer, interviews me on her Write Hot podcast about short fiction and my writer's guide, Playing the Short Game. The podcast is available on iTunes, Sitcher and Hipcast. Fellow writer, Sherry D. Ramsey, interviews me on her blog about writing my story "By Her Hand, She Draws You Down," why I love short fiction, my all-time favourite short story, my approach to novel writing, my fascination with shapeshifter stories, what music I listen to while writing, and what I'm working on now. I'll be attending the 2018 Limestone Genre Expo in Kingston, Ontario on May 26-28 (Sat-Sun). I'll be giving a workshop on marketing and selling short fiction, participating on panels, and selling and signing my books. Limestone Genre is a fun con that has quickly grown from a part-day event to a full weekend in just a few years. Unlike many genre conventions that focus on visual media, this expo has a clear literary focus and consciously caters to actual (gasp) book readers. Like you, or you wouldn't be here, right? From the website: "The Expo is a two-day literary event, celebrating the best in Canadian genre fiction. We offer panel discussions, workshops, readings, pitch sessions, a large vendor area, and many opportunities to interact with our attending authors, editor and publishers.​"
Kingston is a pretty town and this is a great time of year to be there. I hope you'll mark this expo in your calendar. I'll be reading as the special guest at the Open Mic programme at the Parliament branch library in Toronto on Tuesday, May 8 in the evening. There will be a number of short readings starting at 6:30p, and then I'll read up to 8pm. I'll also be selling my books at discounted prices and signing. If you're in the area, I hope you'll drop by or tell some friends. For Toronto-area peeps: I'm giving a 2-hr workshop on marketing & selling short fiction at the Albert Campbell branch library tomorrow from 1-3pm. The workshop is taken from the first part of my Playing the Short Game book and covers the benefits of writing short fiction, rights and licensing, a strategy for marketing your short fiction, how to find markets, how to select the best markets, how to submit, the no-nos of submitting, and much more. If you're a short fiction writer or if you know someone who is, please spread the word. If you're a writer as well as a reader, you'll be interested in this. 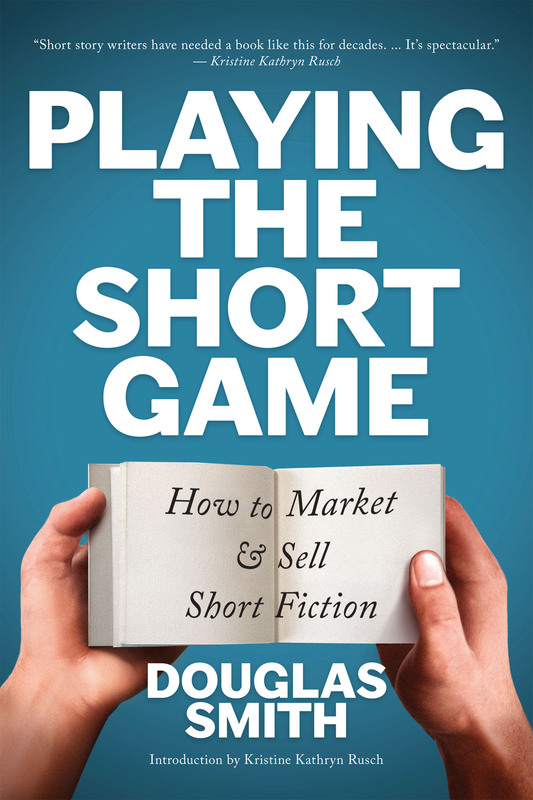 NY Times and USA Today best-selling author, Joanna Penn, recently interviewed me on her webcast / podcast, The Creative Penn, about my guide for writers, Playing the Short Game: How to Market & Sell Short Fiction. Much of the discussion focused on how writers can make money from a short fiction career or by adding short fiction to a novel career. Has the magazine market been disrupted the way the book industry has? You can watch the video interview, listen to the podcast or read the transcript here. Playing the Short Game is available in both trade paperback and as an ebook from all major retailers.